Porsche 911 engineering chief Erhard Mössle dropped some hints on future electrified 911s in an interview with AutoExpress. Looks like a plug-in is on its way after all, and the company is also working on a full-electric model too. Porsche showed the U.S. their new 2017 911 Turbo and Turbo S at this year’s Detroit Auto Show. 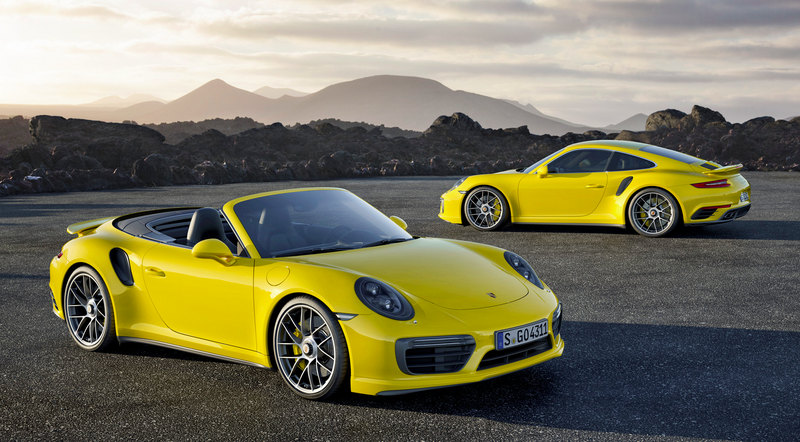 They both look swell, but we’ve seen powerful turbocharged 911s before. What we want to know is what’s coming next. And to answer that, AutoExpress spoke with Erhard Mössle and asked about future electrified 911s. We are, of course, working on different solutions and we’re also working on an all-electric car. And of course, we are discussing plug-in solutions for the 911, but there are a lot of things to solve with packaging in the car and other things to solve. It will maybe be in the next generation, yes. As far as I can see we will stick with six-cylinder engines because we have a good positioning with 911 and six cylinder and 718 [Boxster and Caymen] with four cylinders. Even the six cylinder engines have a lot of potential to reduce consumption and CO2 emissions. Considering how well Porsche executed the plug-in 918 Spyder, it’s hard not to get excited about a plug-in 911. The 918 was a Herculean effort by engineers, and a similar hybrid setup in the 911 with what Porsche learned from a million-dollar hypercar could make for an incredible driving experience. But it looks like Porsche might go a step further, as the 911 boss said about “the all-electric car.” And not the Mission E either, but a 911. This could be the best of all worlds.